People often ask me if I have a strategy for how to build a bankroll with $20. My answer is almost always the same: if you’re starting with an amount like $20, then there’s a decent chance that you’ll wind up going broke. The best way to build a poker bankroll with $20 is to play very low stakes games and take advantage of freerolls as well. 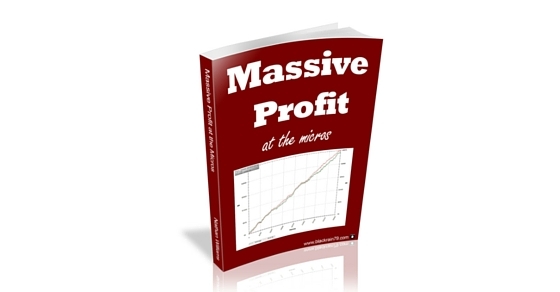 You will need to play extremely tight and risk averse when you have such a small bankroll. Try to grow your $20 bankroll to about $100 and then move up to the next stake. But even if you follow all of this to a tee there is a still a good chance you end up going broke. With the variance involved in poker, there is simply no way around that. The smallest cash game limit on offer for instance is typically NL2. If you bought in for 100 big blinds each time (a strategy you should definitely follow) then you will only have 10 buy-ins available. Even the best players in the world could wind up losing 10 buy-ins in a row at NL2 due to a bad run of cards. So the best advice therefore is to invest a little bit more in your poker career from the start and bring your bankroll to a minimum of $50-60. This would give you 25-30 buy-ins for NL2, which will reduce your risk of going broke significantly. Now despite all of the above, I understand that not everyone wants to invest a lot of money in poker, especially if they’re still learning and are afraid to lose it all. So that’s why today I want to give you my top tips on how to build a bankroll with $20. Let’s go! 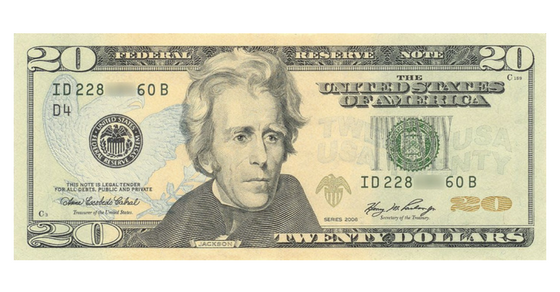 Which Poker Games Should You Play With a $20 bankroll? The first consideration is obviously which games to play in, cash, sit n gos or tourneys. Although your game selection will have large implications for your bankroll, this shouldn’t be the only factor in your decision. When thinking about which format to play, you should choose the one you’re looking to focus on in the long run. Specializing in one format will give you the best shot at becoming really good at it. If you mix it up too much you’ll likely wind up being decent at all of them, but great at none. Of course, if you’re just starting out then you might not know which format you want to keep playing for the rest of your career (or a significant part of it). 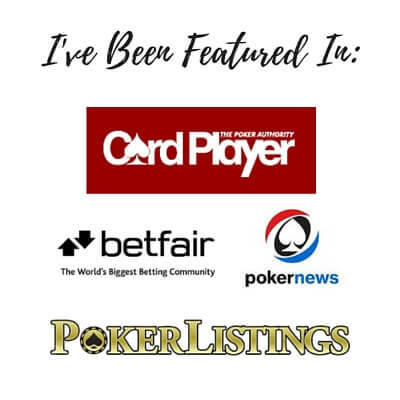 This why I would recommend checking out my guide on which poker games to play first to give you a better idea of the advantages and disadvantages of each. And of course it’s totally fine to experiment as well. 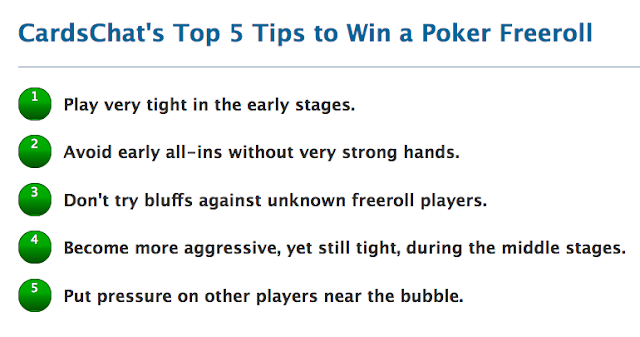 In fact, you should try cash games, sit n gos and tourneys when you are just starting out. In order to succeed in building a bankroll with $20, let’s take a look at which of the formats will give you the biggest chance of success. As I noted above the smallest stakes that most poker sites offer for cash games is 1c/2c, also known as NL2. The minimum buy-in on most sites these days is 40 big blinds, which would give you 25 buy-ins. While I generally don’t recommend buying in for less than 100 big blinds, when playing with a $20 bankroll you could make an exception as this will (at least in theory) help protect a lesser experienced player from going broke as fast. Like I said above though, you simply can’t avoid this risk if you’re starting with a bankroll this small. They ran these simulations over a sample size of 100 million hands by the way just in case you had any doubt. This is why I and many others constantly preach about the importance of proper bankroll management. Luckily though, the thing about NL2 is that it’s still an absolute circus even in 2017. Even if you’re relatively new to the game, you can expect to win by simply playing tight and betting your good hands strongly on each street (also know as “ABC Poker”). If you’re a halfway decent player then you can expect to have a solid winrate at these stakes (much higher than 2.5bb/100), which will lower the risk of a big downswing significantly. The second format for building a bankroll from $20 are sit and gos. 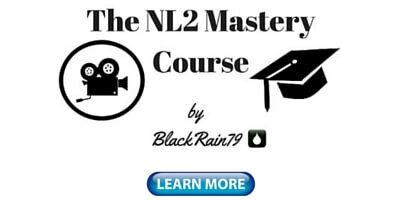 The problem with this choice is that you don’t have the option to play it safe as with our 25 buy-in example at NL2. The lowest sit and gos on offer are usually $1.10 or somewhere in this region, which will only give you around 20 buy-ins. This is extremely low by any standards. So if you’re looking to play sit and gos to build your roll, you should be prepared to lose it all and not feel too bad if it happens. Keeping your expectations realistic is the best way to avoid tilt, so always try to be honest about your chances upfront. With that being said, sit and gos do have one thing going for them: You can bink a couple of them in a row and give yourself a chance to build a healthy bankroll in a very short time. This is not really possible with cash games, so this high risk / high reward strategy can definitely make sense. Just remember to exercise good bankroll management as soon as you’re out of the danger zone and don’t keep gambling after that. MTTs are easily the worst choice for playing with a $20 bankroll. Proper bankroll management for tournaments requires well over 100 buy-ins for each stake. Since the smallest tourneys are also usually around $1, you will be well short of that. The problem with MTTs is that it is much harder to bink a win in the short run than with sit and gos. This is especially true of low-stakes MTTs, since these tend to attract huge player fields of well over 1,000 players. Even cashing in these is not an easy task, since you’ll have to beat 800-900 players to do so. Taking 20 shots at low-stakes MTTs is just a complete crap shoot, there’s no other way to say it. Again, if you accept the risk of going broke you can roll the dice and try it, but you’ll be better off just topping up your bankroll upfront. What Other Strategies Can You Use for Building a Bankroll From $20? As mentioned above, when choosing the right format you should think about your general strategy for building your bankroll. Do you want to take a higher risk and have a better chance of building a good-sized roll quickly? Or do you want to take it slow and steady and grind yourself up? 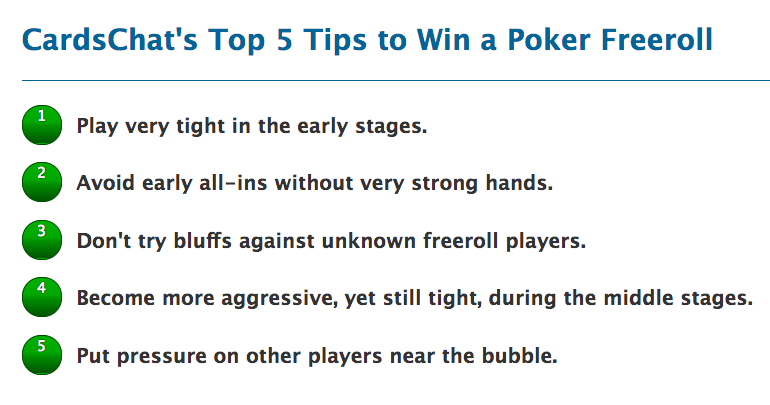 These are important considerations not only for picking your format, but also for the style of play you’ll use at the tables. 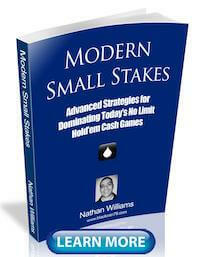 When choosing a high-risk strategy, you might want to play looser than normally in order to score big (i.e. loose and aggressive or LAG). It’s a viable strategy if you know what you’re doing, although I personally wouldn’t recommend it for most people. Poker is a marathon and you should treat it like that at any point in your career. Developing a gambler’s mindset can create big problems for you later on. With that in mind, here are some strategies that will help you succeed in building your bankroll from $20. If you really want to avoid going broke as much as possible with your small bankroll, then playing tight will be by far the best strategy. By only playing strong starting hands, you can decrease variance significantly and reduce the risk of any downswings as much as possible. I would recommend playing as little as the top 15% of hands in full ring (9 handed) and the top 20% of hands in a 6-max game. Another reason for playing tight from the start is that I generally recommend playing a tight style for most of your journey through the micros. Playing a loose style only works if your post-flop game is very strong and if you can expect to frequently outplay opponents that hold better hands. Remember that I’m only talking about playing tight, but never passive. Once you do enter pots, you should be betting and raising with your strong hands a lot in order to build big pots. This style, which many of you will know as the TAG (tight-aggressive) style, is by far the most optimal in most games. Another reason for playing tight is that with a bankroll of $20, you’ll be playing in some truly crazy games. There is simply no point in playing weak hands in crazy NL2 games where nobody’s folding post-flop. Just play as tight as you can stomach it and count your money later. While I advised against playing MTTs when playing with a small bankroll, there is definitely one exception: you should play as many freerolls as you can, especially if you’re planning on sticking with MTTs later on. While freerolls hold little interest for players with bankrolls of $100 and higher, they can be absolutely fantastic in your particular situation. If you manage to win a huge freeroll, you can often win well over $20, which can triple or quadruple your roll with no risk at all. Even final tabling one will usually pay out a few dollars, which can increase your roll by 25% or more. 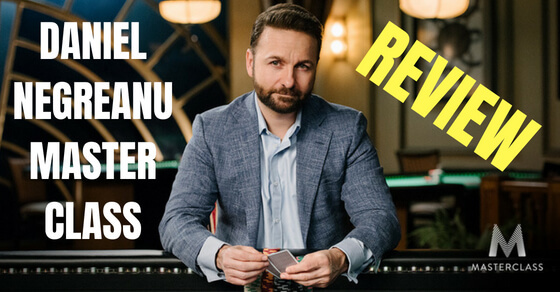 As you’ll probably be at the start of your poker career with a bankroll of $20, freerolls offer a great chance to improve and get some hands in without having to risk your own money. Now I know this is easier said than done, but as I mentioned before, it is crucial to always have realistic expectations in poker. The single biggest reason people tilt is because they overestimate their skill and underestimate the role of variance in the game. After all, if you’re truly prepared for something, then why would you get angry if it happens? 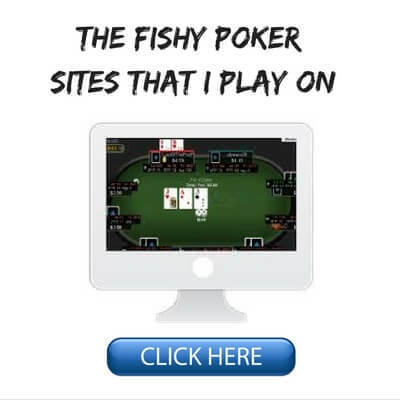 That is absolutely true for playing with a tiny bankroll. The risk of losing it all is significant and can’t be avoided. If you want to play it safe then you need to start with a bigger roll, period. However, exercising good tilt control from the start and learning to deal with setbacks can be incredibly valuable in the long run. Remember, even though you are gambling on a short roll, sometimes you will get lucky as well and everything will work out. One thing you can't do in poker though is fight the math so you shouldn't get too down on yourself if setbacks occur. While I generally don’t recommend starting with a bankroll of less than $50, there are definitely a lot of things you can do to increase your chances of success. Choose the right format, play a tight-aggressive style and use as many freeroll offers as you can. And above all: just remember to run really really well and you will soon find yourself with enough room to exercise proper bankroll management! 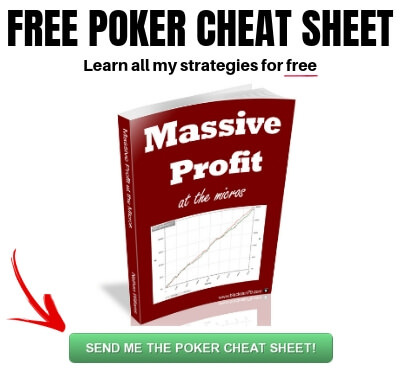 To learn the strategy that I used to create some of the highest winnings in the history of online poker in these games, make sure to grab a copy of my free poker ebook. 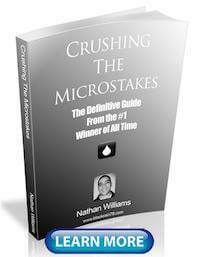 Do you have any strategies for how to build a bankroll from $20? Let me know in the comments! Hello how are you? Your blog has helped us a lot. I keep waiting until when you give us a hello telling us about videos with live sessions so we can watch. The sng of PS starts with 0.10c in HYpers and 0,25c 180 men and 45men. Glad my blog helps Luciano, thanks for reading! I just got onto a super soft site (which shall remain unknown). They give you free $1-20 to start with and I ran it up to $310 in under a month playing PLO cash games. Still going strong! Hi Nathan, I'm mainly a SnG player but last year (2016) I started with zero and turned it into $1,000 on the I-Poker network. I started on freerolls and from my first few cents I played 10c SnGs and built up to €5 SnGs and small stakes MTTs. It took me 10 months to get to $1k. A few things. 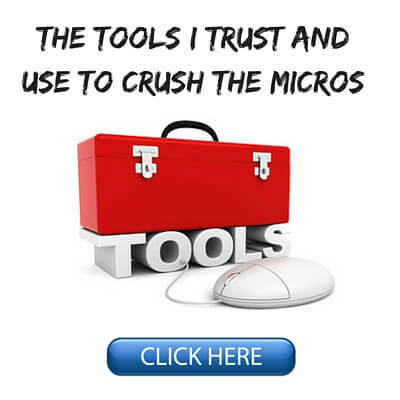 Rake at micro stakes is 20% and is a killer and the main reason why most players won't get anywhere. When you win your first cents bring it straight to the tables. Pick and choose freerolls after you win your first few dollars, only play freerolls that are worth playing, you are just filling a slot where you could be getting better value playing real money. I also swapped funds between sites. As soon as I had enough to withdraw I moved funds to another I-Poker skin to take advantage of deposit bonuses and promotions. In the end I had my funds tied across 4 sites. Luciano, I'd steer clear of Stars altogether unless it's for a promotion but I've noticed even compared to 2016 promotions are becoming less and less value. Hypers are also more of a bingo game but the 25c 45 man games are a good place to start. 40 buy ins ($10) is more than enough to get going and those 45 mans run all day. Andre Coimbra done it from $10 on Stars iirc and he turned it into $10k+ in a year. He was part of the reason I done it myself. It is possible but promotions are becoming less and less while the standard even at micro stakes gets better all the time. Amazing story, nice job. I did a similar thing myself with selling play money chips and freerolls. Hi Nathan! I started with 13$ in the summer of 2013.NL2, usually 75bb, 6tables. I am glad it worked out for you and you are using good bankroll management now. Thanks Al! I haven't had time to make any new videos lately. I just came out with a brand new post on defending against 3bets. You can check it out here.